Can anybody throw some light on these test results please for me ? 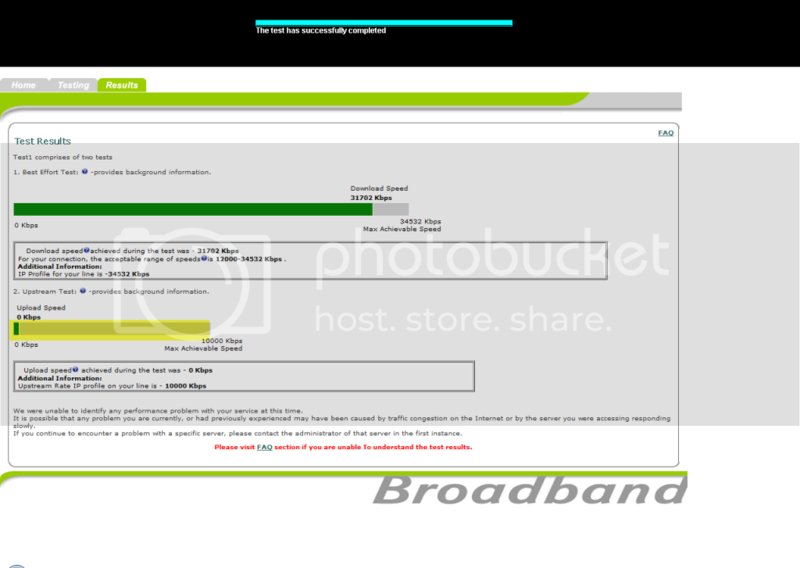 All the tests from BT show a really poor upload speed, from the other test results normal speed. 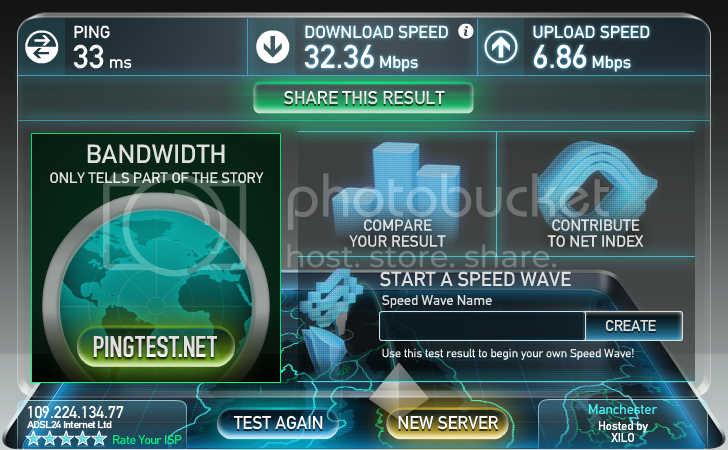 So which is correct as when I try to upload to a friend the speed is really abysmal. 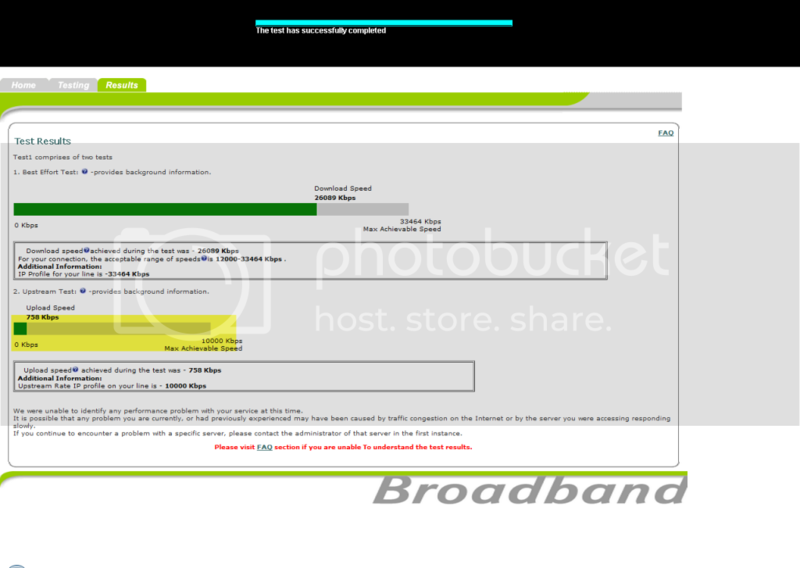 Have tried direct from Router and also direct from Modem to PC and same results. 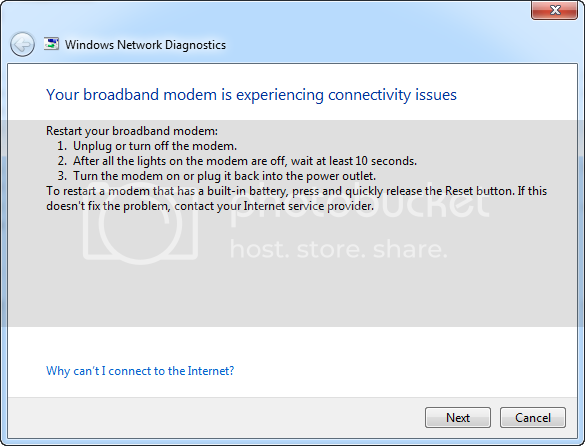 Have been in touch with my ISP and if an engineer comes out and finds nothing it will cost me in the region of £160 I have had several instances of Windows 7 telling me there is a problem with the BT Modem and that I need to reboot it or turn it off and on again. Just a point re your links - the tbb tester has broadband code below to link your results without displaying your IP address. Re the upload speed, can't think of anything yet . Yes I have discussed it with them. 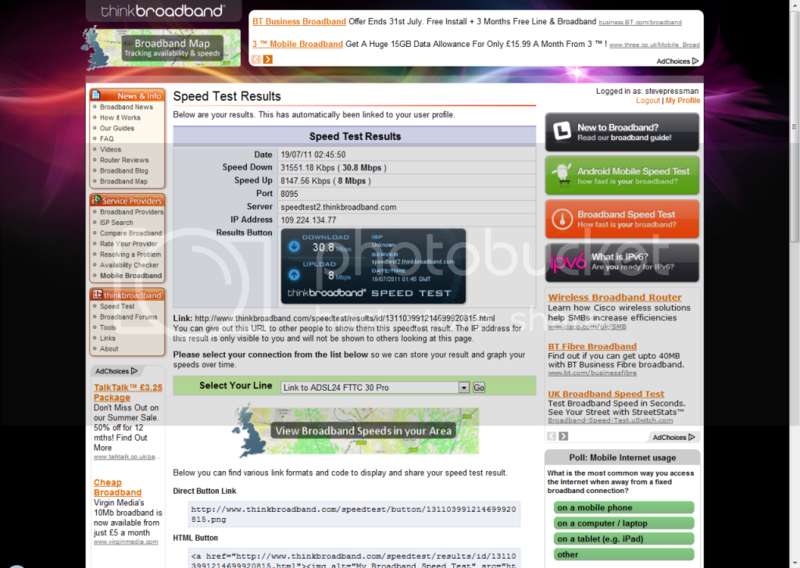 The problem I have is the BT speed test says I am getting zilch, the others three different testers say it is fine. The past week it has been erratic sometimes fine others not. I am tempted to believe it is a Modem fault. I know I was praising them and I still am they could not be more helpful Bob. Oh and thanks for the heads up about the IP address forgot about that. I have seen this before, but it was due to the service having been capped. The punters kids had been hammering the P2P. No I am sure you haven't been doing that, have you ? No not hammering P2P at all. Had the engineer here this morning who said he had detected a fault on the line and that it was touching another one ? Does that make any sense ? Anyway he could not fix it so he spent 3 hours installing a new line into the Flat and he said I had to wait 72 hours for the new profile to settle does that sound about right ? he said I had to wait 72 hours for the new profile to settle does that sound about right ? OK, so he fixed a line fault, good, but he *should* have rung and have the sync rate, and therefore the profile (shortly after) reset. OH I think he did all of that too, sorry I was so tired when he done it all, had only been asleep for 3 hours and he came at 8am instead of after 1pm. Any way I have just done a test again now and it doesn't look good.